Available to ship in 60 days. The Air Lift Board Vaulting Trainer features a lower approach height and longer take-off zone for vault training. It is the same FIG height specifications as a regulation vaulting board. 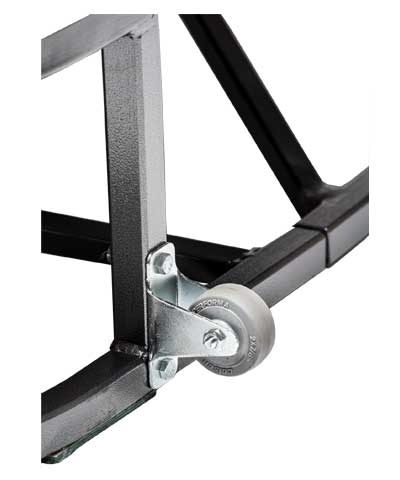 The Air Lift Board is fabricated of heavy guage steel tubing with all welded joints for years of rigorous use. 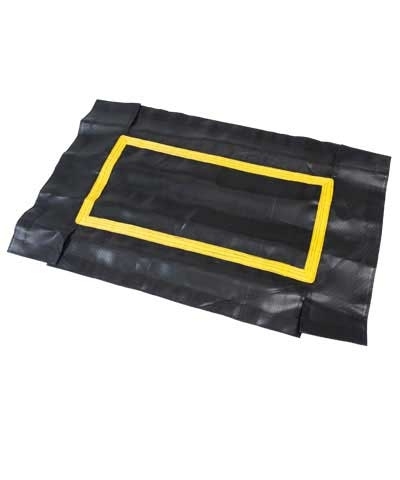 Each Air Lift Board is equipped with a polypropylene bed and pads that fully cover both the frame and springs. Shaped like a vaulting board. Meets FIG vaulting board height specs. Blue frame pads act as a safety zone. New wheel design for easy transportation. Two non-skid footpads to prevent slipping. 36" wide frame-same width as the vault runway. Extra bracing to prevent the wobble as on other brands. 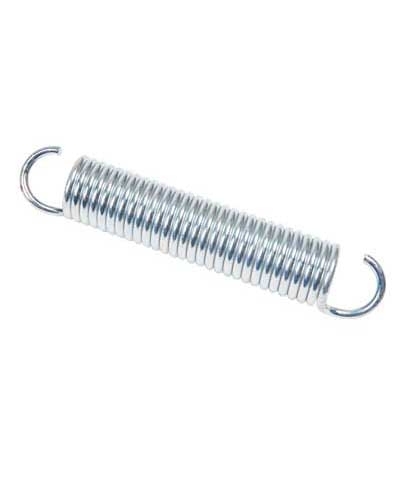 Includes spring puller for easy spring installation. Ideal for high repetition training. 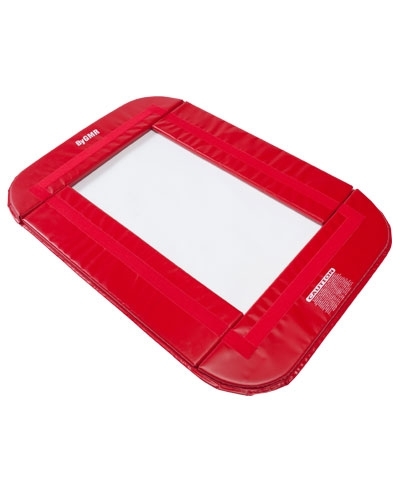 The Air Lift Board is for vault training only and is not for use as a Mini Tramp. Any activity involving motion or height creates the possibility of catastrophic injury, paralysis or even death. 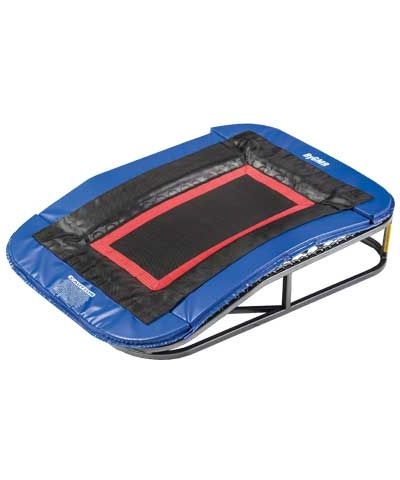 This Vault Trainer is intended for use ONLY by properly trained and qualified participants under supervised conditions and only for gymnastics type vaulting skills and drills. 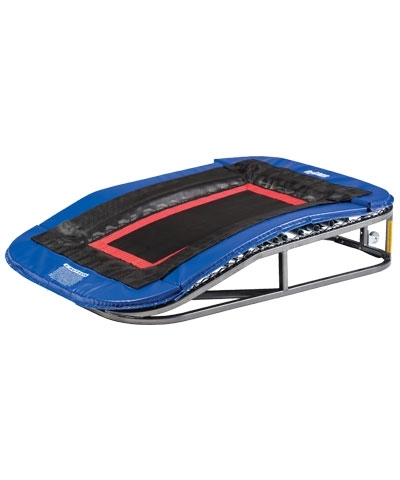 It is not a mini tramp and not intended for performing somersaults or dive rolls. Vault Trainers, being rebounding devices, propel the performer to unaccustomed heights and a variety of body movements. New maneuvers or skills must be learned and taught in proper progression by a qualified, trained instructor. Use without proper supervision, or abuse, could be DANGEROUS and should NOT be undertaken or permitted. Before using, KNOW YOUR OWN LIMITATIONS and the limitations of this equipment. If in doubt always consult your instructor. Always inspect for loose fittings or damage and test stability before each use. Be sure proper matting is in place.